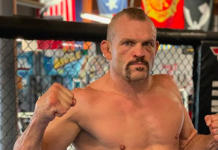 Friday morning the MMA community learned that Kelvin Gastelum had missed weight, and his UFC 205 fight with Donald Cerrone was subsequently cancelled as a result of him being unable to make weight. While Cerrone weighed-in at 170 pounds, Gastelum never stepped on the scale for the fight, withdrawing from the fight before ever attempting to hit the scales. 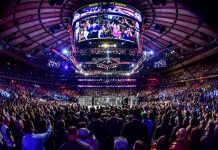 While the MMA community was extremely saddened by the news of the fight being cancelled due to Gastelum’s inability to make weight, welterweight fighter Alan Jouban is currently in New York for the event, and is ready and willing to step in on short notice to fight Cowboy at the event despite the fact that he would have to fight tomorrow evening. 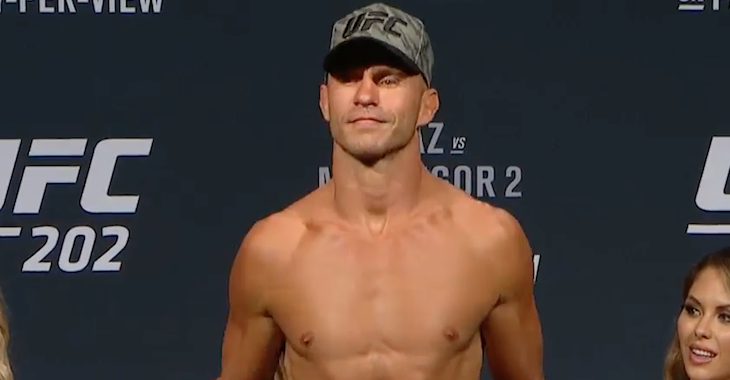 So far there has been no word from Donald Cerrone or Dana White regarding Jouban’s willingness to step in on short notice, however knowing Cerrone, he is willing to accept the fight against a fill-in opponent on short notice. 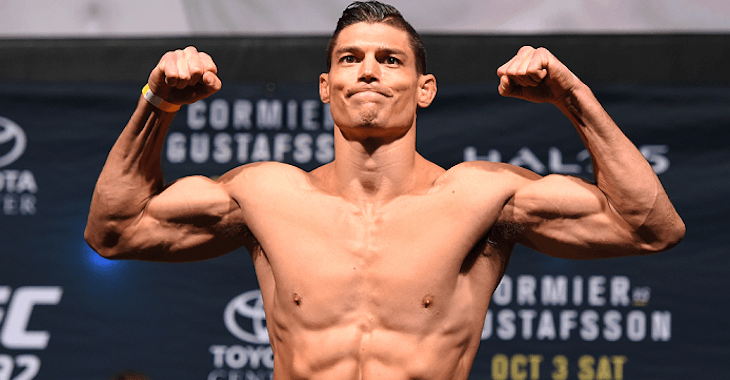 Should the bout be made official, Jouban would be stepping into the Octagon on a 2-fight win streak that has seen him defeat Brendan O’Reilly via 1st round TKO in March, and then defeat Belal Muhammad via unanimous decision back in July in a ‘Fight of the Night’ performance. Prior to his 2-fight win streak, Jouban had another 2-fight win streak snapped when he was TKOd by Albert Tumenov in the very first round. 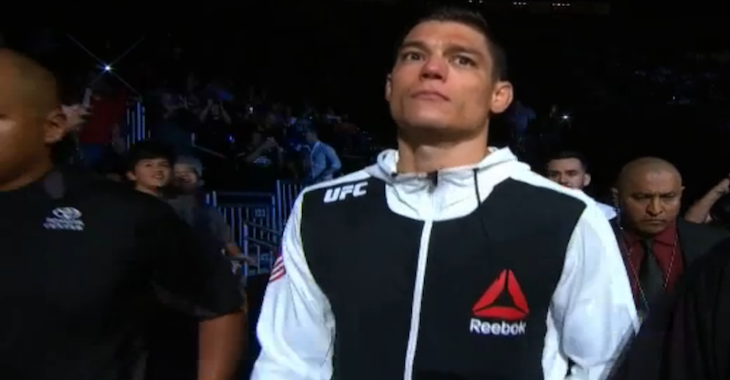 Currently, Jouban is 4-1 in his last 5. 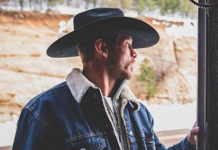 Cerrone on the other hand would enter the fight on a 3-fight win streak that has seen ‘Cowboy’ go on a tear of the welterweight division as he has finished all 3 of his opponents at 170 pounds. 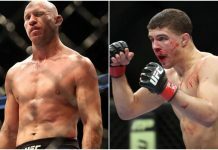 In his welterweight debut, Cerrone submitted Alex ‘Cowboy’ Oliveira in the very first round, before following the performance up by TKOing Patrick Cote in the first round, and Rick Story in the 2nd round of their UFC 202 fight back in August. 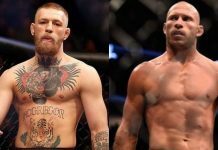 Despite having just 3 fights at welterweight, Cerrone has picked up 3 performance bonuses throughout the 3 fights, ultimately landing himself at #6 on the UFC’s official welterweight rankings given his dominance.